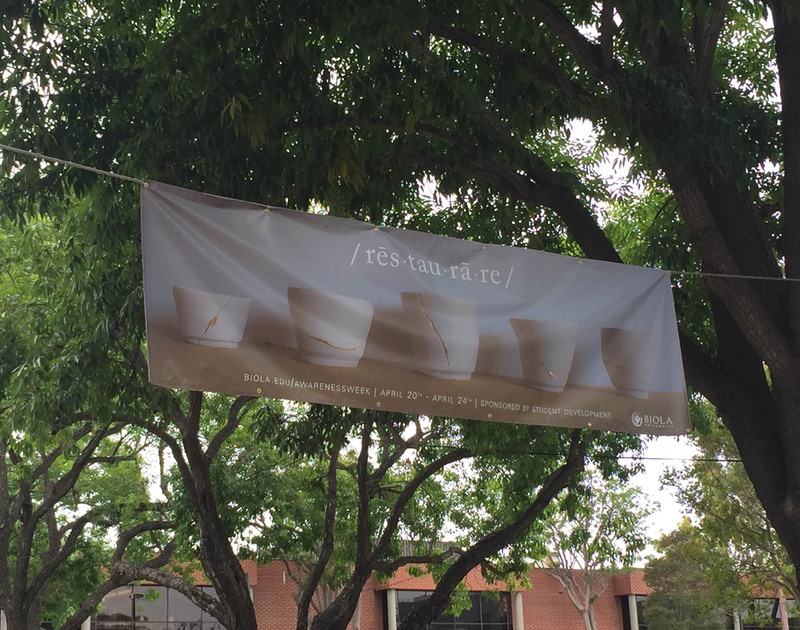 Biola University's Spring semester awareness week revolved around the topic of restoration, specifically for those trapped in cycles of guilt or addiction. To honor that theme, I created a series of pots using the Japanese art: Wabi-Sabi. Wabi-Sabi is the art of repairing broken pottery with gold. The idea is that the vessel is more beautiful for having been broken and then lovingly restored, so the goal is not to cover up the cracks, but to highlight and ennoble them. I threw each pot on the wheel, put them through just one bisque, cracked them, and repaired them with gold leaf.